The Finance Minister encourages these views by calling many august people to long meetings seeking the distinguished members’ thoughts. This time, Arun Jaitley has also asked the aam aadmi to tweet suggestions. So from industrialists to economists to reps of state governments, a long line of visitors all arrive in New Delhi to tell the Finance Minister how he can design a better budget – especially for them. What nobody wants to discuss is that there is very little money available to any government to put to productive use. This graphic (source: Budget 2015-16) of what happens to the rupee clearly demonstrates that only 11% of the budget is available for the Central Plan (or real development spending), which is Rs. 46,000 crore. The bulk of the rest of the money is drained away by interest payments (20%), subsidies (10%) defence salaries, other salaries, pensions etc. What this graphic hides is the fact that these percentages taken are on the total amount that the government spends, and not what it earns. The central collection of taxes etc only amounts to two thirds of the money it spends. The rest is borrowed. The heart of the problem is that the government’s tax collection system is weak, and Indians are amongst the biggest tax cheats in the world. Currently, only 3% of Indians pay income tax. This is largely because income from agriculture cannot be taxed by the Central Government. So farmers don’t come into the tax net. In reality, most of the rural population manages to stay out of the tax net. But farmers aren’t the only people who escape paying taxes. Many people under report income. So, unless you are a salaried person, in which case you get hit by the full force of taxes, you can probably fiddle the amount you earn. Which is true of most professionals, shopkeepers and businessmen. How else do you explain the difference between what the government reports and the banks’ estimate of the super-rich in India? The government says only 50,000 people declare and income of more than Rs. 1 crore. The wealth reports estimate that the Very High Net Income families in India number about 1.75 lakhs to 2.50 lakhs. That’s upto FIVE times the number that declare the Rs. 1 crore-plus income. So yes, cheating on taxes is true of the rich, but as the report below shows, you can bet under-reporting on income is rampant in all classes of people. What this shows is in a country of 1.2 billion people, 39 lakh people (about one fourth of Delhi’s population) pay NINETY percent of all income tax. So, either India isn’t shining, or a lot of people fudge their income. But tax cheating does not mean just not paying taxes, it also means paying less tax than you owe because you don’t show much of your income. After all, the cash you pay your doctor, lawyer and chartered accountant often does not find its way on to their books. Cash paid at shops or the “estimate” instead of the bill that the shopkeeper gives you is humbug – the money is not accounted for. Contractors of all kinds avoid taxes like the plague. All these worthies are part of the problem of a low tax yield. So yes, the government doesn’t get its dues. The other problem is on government spending: the Holy Cows of Subsidies. Between food, fertilizer and petroleum products, a lot of money is ostensibly spent keeping the poor from deprivation. Unfortunately, much of this never reaches the real poor and is siphoned. But no government has the courage to remove these welfare schemes. The potential political fallout is too high a risk to pay in country where every year, some state or the other goes to the polls. Efforts have begun to rationalize these, as with LPG through direct transfer (the subsidy lands straight in the account of the beneficiary), and this is an area that could see more progress; the government is considering means of direct transfer for food subsidy or fertilizer. Prime Minister Modi has already done a U-turn to now endorse MGNREGA (the rural employment scheme brought in by the Congress government); with the continuing drought in much of the country and the recent announcement of crop insurance, rural spends aren’t likely to come down. The fact that three major states going to the polls in April (followed by UP next year) portends more giveaways on February 29 to farmers. In fact, the big debate is whether the government should increase spending by borrowing more, or remain fiscally prudent. On one side, the RBI Governor Raghuram Rajan, Niti Aayog chief Arvind Panagariya and others have warned the government against over-spending and breaking its targeted fiscal barriers. On the other hand, Chief Economic Advisor, Arvind Subramanian and others have argued that the government should not worry about spending more as it is only this which will give a kick start to the economy. Luckily for Mr Jaitley, crude prices are likely to remain low, so you can assume that the taxes on petroleum (currently 33% of the price is excise duty), which have kept prices high, will continue or may even go up. Service tax under the cloak of rationalizing it for GST will go up again from 14.5% to at least 16%. That means you probably will pay more at restaurants, beauty salons, and for utilities. The average taxpayer is hoping for some relief in terms of increasing the exemption level and larger deductions for medical insurance and interest on house loans. An effort to this effect may be done as a populist measure as it really does not cost the government that much to absorb the costs of those concessions. So while everyone wants to chat about what the Budget will bring, assume that it will firstly address the large voting public of this country. There may be a few tidbits for the middle class, but with the government already having started the implementation of One Rank One Pension for defence personnel, and with a mammoth hike due in the wage bill for central government employees, plus meeting the Government’s rural concerns, if you’re a salaried person, don’t expect too much. Total collection from direct taxes stood at Rs 5.47 lakh crore as on February 13, which is 68.7% of the budget target for the fiscal. “Net (direct tax) collection was Rs 5.47 lakh crore as on February 13, 2016. 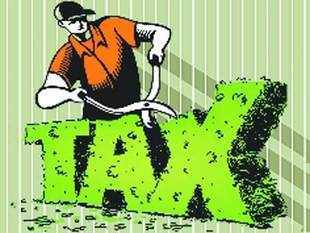 This amount is 68.7% of the target of Rs 7.96 lakh crore,” Central Board of Direct Taxes (CBDT) member Surabhi Sinha has said. Direct taxes include personal Income Tax and corporate taxes. 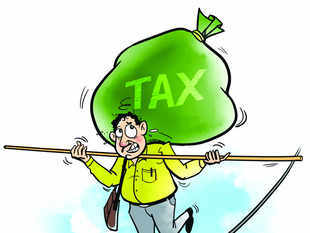 The government anticipates a shortfall of about Rs 40,000 crore from direct tax collection in the current fiscal. However, the shortfall would be made good as the indirect tax revenues are likely to overshoot budget targets by a similar margin. Of the Rs 14.5 lakh crore tax revenue target, Rs 7.96 lakh crore was estimated to come from direct taxes (corporate and income tax) and another Rs 6.5 lakh crore from indirect taxes (customs, excise and service tax). “Considering the importance of the long overdue revision of these puny limits, the Committee has recommended suitable hikes in such threshold limits,” the Justice (retired) R.V.Easwar Committee said in its draft report released here. It recommended “enhancement and rationalisation of the threshold limits and reduction of the rates of TDS (tax deducted at source)” and that “TDS rates for individuals and HUFs (Hindu undivided family) to be reduced to 5 percent as against the present 10 percent”. The panel said nearly 65 percent of the personal income-tax collected in India was through TDS, whose provisions need to be made less “tedious”, as they have remained over the years and, more tax friendly. It said TDS is applicable on “such tiny annual limits” like Rs.2,500 on payment of interest on securities and on interest on NSS accounts, Rs.5,000 for payment of interest on private deposits and commission or brokerage, and Rs.10,000 for payment of bank interest. The committee proposed raising the threshold for TDS to Rs.15,000 from Rs.2,500 annually and reducing the tax rate to 5 percent for interest on securities. For other interest earnings it recommended raising the limit to Rs.15,000 from the present Rs.10,000 for bank deposits, and Rs.5,000 for others. For payments to contractors, the panel has proposed raising the TDS limit from the current Rs.30,000 for single transaction and Rs.75,000 annually, to a Rs.1 lakh limit per annum. It has also recommended deferring implementation of Income Computation and Disclosure Standards (ICDS) to provide more time to taxpayers to deal with changes in law such as to the Companies Act, 2013, and the proposed Goods and Services Tax (GST) Act. The TDS threshold limit on rent income has been proposed to be raised from Rs.1.8 lakh annually to Rs.2.4 lakh. The threshold for fees for professional or technical services is recommended to be raised to Rs.50,000 from Rs.30,000, but it said the TDS rate here may retained at 10 percent. It suggested an increase in turnover limit for tax audit applicability from Rs. 1 crore to Rs.2 crore for business and Rs.1 crore for professionals. Commenting on the report, global accounting firm KPMG India’s partner (Tax) Vikas Vasal said the panel’s recommendations seek to address many of the ground level issues being faced by taxpayers. “Some of the procedural reforms on tax deduction at source and e-governance initiatives in the report, if implemented, will help improve the business sentiment in the country,” he said. “Some of the reforms are to be undertaken through the Budget process, while others can be implemented through necessary clarifications in the form of circulars etc.,” Vasal added. The committee has invited comments from the public till January 23, following which it will finalise the report’s first part by January 31. (IBJA) feels that the upcoming budget should announce income tax benefits for individuals who trust invest in Gold Monetization Scheme (GMS) to bring down gold imports. 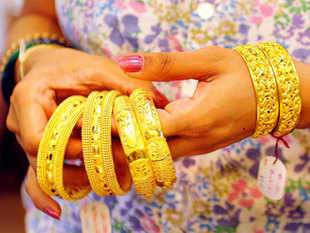 GMS is aimed at unlocking idle gold of 22000 tonnes lying in Indian households. Saurabh Gadgil, vice president, IBJA said that the upcoming budget should increase excise duty exemptions from Rs 1.5 crore to Rs 5 crore which will encourage small scale manufacturing and prevent black marketing. “Also gems and jewellery industry has sought special turnover tax regime for diamond industry, interest subvention to boost exports and PAN card requirement for transactions of above Rs 5 lakh instead of the current Rs 2 lakh in its wish list submitted to the finance ministry,” Gadgil said. Gadgil said that the gems and jewellery sector is witnessing changes in consumer preferences due to adoption of western lifestyle. Consumers are demanding new designs and varieties in jewellery, and branded jewellers are able to cater to their changing demands better than the local unorganized players. Moreover, increase in per capita income has led to an increase in sales of jewellery, as jewellery is a status symbol in India. “Based on its potential growth and value addition, the government has declared the gems and jewellery sector as a focus area for export promotion. The government has recently undertaken various measures to promote investments and to upgrade technology and skills to promote ‘Brand India’ in the international market and with this process India exports 95% of the world’s diamonds, as per statistics from the Gems and Jewellery Export promotion Council (GJEPC). The industry is projected to generate up to US$ 35 billion of revenue from exports in 2015,” he added. Section 80 D allows you an exclusive deduction of Rs. 25,000 paid for health insurance premium for your parents whether financially dependent or no. In case they have completed 60 years of age, the deduction available goes to Rs. 30,000 in a year. Within this limit of Rs. 25,000/-, the law allows you a deduction of Rs. 5,000 per year for amounts spent on regular health check up. Please note that the law does not allow you any deduction in respect of life insurance premium for your parents even if they are dependent. Deductions is also available under Section 80DD for expenses incurred on medical treatment of your dependent parents with specified physical disability or for buying a life insurance policy for maintenance of such dependent parents. The deduction available is up to Rs. 75,000 and goes up to Rs. 1,25,000 in case the parent is suffering from severe disabilities. This deduction can also be claimed for siblings, children, or spouse in case they are suffering with such disease. In addition to above deduction a further deduction under Section 80 DDB is also allowed up to Rs. 40,000 for expenses incurred for treatment of any of the family persons including your parents suffering from some acute specified diseases. However this deduction goes up to Rs. 80,000 in case the expenses incurred is in respect of a patient who is a senior citizen. Any reimbursement received up to Rs. 15,000 from your employer for medical expenditure incurred on your parents, siblings, spouse, yourself and children is also exempt. The income tax laws also allow you the tax benefit in respect of LTA (Leave Travel Assistance) received from your employer and spent by for your financially dependent parents towards travel expenses incurred on holidays with you in India. The benefits of LTA and deduction under Section 80 DD and 80 DDB is also available for your siblings, children, and spouse who are financially dependent on you. The law does not envisage any tax benefits for your siblings under Section 80 C be it insurance premium or school fee or even any investment. Even the benefit of interest on education loan is not available in respect of your siblings. You can claim tax benefits in respect of LTA for your travel with your spouse anywhere in India even if the spouse is financially independent. In case the spouse is also in receipt of LTA, the couple can claim it for holidaying every year as both of you can claim this in alternate year. You can also claim the tax benefits in respect of medical insurance premium paid for yourself as well as your children up to Rs. 25,000. You can also take the tax benefits for life insurance premium paid for your spouse as well as for any amount deposited in the PPF account for your spouse. You can avail the tax benefits in respect of interest paid on education for higher studies of your spouse in addition to yourself and your children. For your children you can claim various tax benefits. You can claim the benefits for life insurance premium paid on the life of your children whether dependent or not but for claiming the benefits for medical insurance premium within the overall limit of Rs. 25,000 your children should be financially dependent on you. You can also claim the benefits for school fee as well as for interest on education loan. The benefit of contribution to public provident fund account of your children can be claimed even if they are independent. Please note that the benefits of national saving certificates and equity linked saving certificates are available only to the tax payer and not anyone else. From the above discussion, it is clear that the legislators have not provided for the tax benefits consistently for expenses incurred in respect of your family members.